Pop! Every person hears this noise when they crack a joint, whether it be the knuckles, the legs, or the shoulders. Many people also tend to get worried when they hear this noise. Is it a sign that your bones are weakening? Is it an indication that there’s something else wrong? Is the noise normal? Rest assured that hearing the popping noise is completely normal, and it does not indicate that bones are breaking or weakening. The noise associated with cracking a joint is usually completely normal and not a cause for concern. However, if the sound occurs with pain and swelling, it may then be an indication of an issue. Otherwise the pop or crack sound is completely natural. Why Does Cracking A Joint Make Noise? As people get older, their joints tend to get louder as well. Again, it is completely normal to hear these sounds, as they are a result of the aging process. 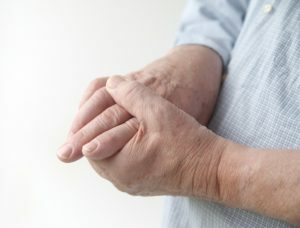 As you age, the cartilage on your joints tends to wear away, which causes the surfaces of the joints to become rougher and the noises that they make to get louder. These occasional sounds, which you may notice while walking up the stairs or when getting up after sitting for a while, are most likely nothing to worry about, unless you experience pain and swelling. What Is The Sound When You Crack Joints And Why Do Cracking Joints Make That Sound? There are a few reasons why cracking joints cause the sound that they make. If you bend slightly, you might hear a soft snapping sound coming from your knees. If you twist your torso, you may hear a cracking sound from your back or spine. That sound usually indicates that a muscle in that particular place is tight and is rubbing against the bone. The sound may also be caused by a tendon or by multiple tendons rubbing over the bone. The noisiest sounds come from near the shoulder blades, because there are so many tendons located in close proximity to the bone. If the noise from such parts tends to annoy you or becomes a cause of concern for you, you may wish to try gently stretching or doing yoga. The sound may reduce overtime. Once again, these sounds are generally nothing to worry about and are a completely natural process. Many people tend to crack their knuckles to loosen their muscles and tendons around the area, and because it can be a satisfying feeling. The sound which comes from cracking one’s knuckles is caused by nitrogen gas bubbles compressing and bursting. The nitrogen occurs naturally around these joints. The sound emitted is referred to as cavitation, and it simply means that the gas bubbles are being released or popped. To avoid creaky knuckles and joints or the sounds associated with cracking, move as much as possible. Moving lubricates your body. Joints crack naturally when we move, especially as we age. These sounds should not be a cause for concern unless we also notice pain. However, deliberately cracking one’s own joints, or even getting your friend to crack your back for you, can cause harm. It is best and safest to get adjusted by a trained and certified chiropractor. That being said, make an appointment at Hill Chiropractic today and experience the joy of a balanced and well-adjusted body!